Sale of such devices is not illegal but without authorisation, it is illegal. Dealers of these gadgets pointed that USB cables could be ineffective. 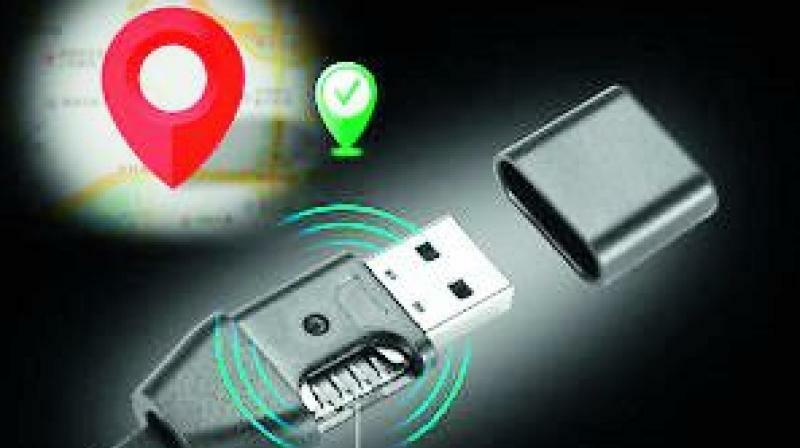 Hyderabad: Nobody would have suspected that a USB cable, so they have become a perfect disguise for hidden camera, audio recording and GPS tracking. USB chargers with audio listen-in and GPS location tracker have been in the market from long, but due to the universal cables that are being used, it is easy to spy in plain sight. With many gadgets coming up to take your privacy away from you, this deceitful gadget is available for purchase online. The cable can find the location on the map of the mobile phone, with capabilities of messaging, recording, memory card, callback, sound detecting, mobile monitoring and even environmental monitoring. Added to that, the user need not have specific software to use it and can be used life long. The cable plugs into any standard charger for charging just like a real one. Cybercrime officials noted that while it is not illegal to sell such items, people are not permitted to use without authorisation. Cyber crime additional deputy police commissioner K.C.S. Raghuvir said, “Using devices which can track your location and camera is intrusion into privacy and is illegal especially in public places. Sale of products is legal but you cannot just use it to snoop on others without authorisation. Such devices however, can be used to monitor your activity”. He added that it is difficult for people to track such devices and check the surveillance on them, unless some issue crops up. Meanwhile, dealers of spy gadget pointed that USB cable could be an impractical idea and cannot be very effective.